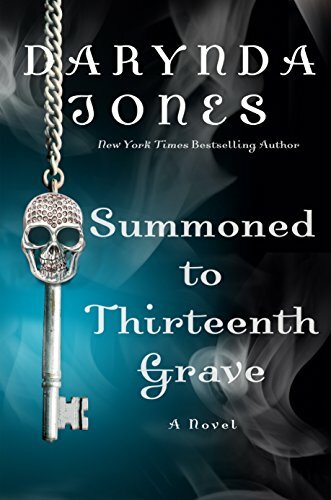 Grim Reaper Charley Davidson is back in the final installment of Darynda Jones’ New York Times bestselling paranormal series--Summoned to Thirteenth Grave. Charley Davidson, Grim Reaper extraordinaire, is pissed. She’s been kicked off the earthly plane for eternity –which is exactly the amount of time it takes to make a person stark, raving mad. But someone’s looking out for her, and she’s allowed to return after a mere hundred years in exile. Is it too much to hope for that not much has changed? Apparently it is. Bummer. She’s missed her daughter. She’s missed Reyes. She’s missed Cookie and Garrett and Uncle Bob. But now that she’s back on earth, it’s time to put to rest burning questions that need answers. What happened to her mother? How did she really die? Who killed her? And are cupcakes or coffee the best medicine for a broken heart? It all comes to a head in an epic showdown between good and evil in this final smart and hilarious novel.